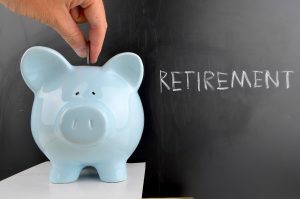 When you’re retired, your cash flow is extremely important, and there’s a good chance that you’ve spent a great deal of your working years planning specifically for retirement. A 25 year retirement giving you increasing numbers and longevity can be cause for concern particularly was you evaluate your various expenses and figure out what makes sense for you. Life insurance is a vitally important form of protection during numerous different points of your life. Planning for the possibility of someone’s death can help with paying off the mortgage, replacing income, providing liquidity to pay estate taxes, and to establish children’s college funds. There are times, however, when these needs come and go and the re-evaluation of your needs in retirement is extremely important. There must be consideration about whether or not your life insurance policy is still serving you at this period in time. Unfortunately far too many people in or nearly retirement are continuing to pay their life insurance premiums out of a sense of obligation without evaluating whether it is necessary. Many life insurance policies that were purchased for the purpose of paying an estate tax may no longer be needed due to updates in the estate tax planning. And particularly if you are married, you would need to have substantial assets in order to even trigger the estate tax. If you are concerned about whether or not this affects you, schedule a consultation with an estate planning lawyer. Far too many Americans have put off appropriate financial planning and this means that they find themselves in the midst of a financial planning catastrophe when it is too late to take many steps to protect yourself. Thankfully, there are ways to avoid financial procrastination and these can be greatly assisted along by scheduling a consultation with an experienced estate planning attorney and financial advisor. A new study by Career Builder found that nearly eight out of ten Americans live paycheck to paycheck. If you want to remove yourself from the common challenges faced by people in this situation, you need to recognize that missed financial opportunities abound. Paying only the minimum on your credit card. Ignoring estate planning basics such as setting aside time to put together critical documents for while you’re still alive and after you pass away. Not getting serious about retirement, including ignoring the most beneficial retirement planning opportunities. Setting aside a time to consult with an experienced estate planning professional and other financial advisors is strongly recommended. Do you currently own stock in any cryptocurrency? 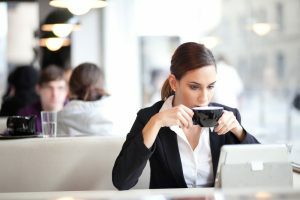 If so, it’s easy to forget about these funds inside your virtual wallet but they should definitely be included in your estate planning process. If you don’t articulate all of the details surrounding your cryptocurrency, there’s a good chance that the family members who intended to receive it may never actually see it. This makes it all the more important to retain the services of a knowledgeable estate planning attorney who is staying on the cutting edge of cryptocurrency. Cryptocurrency has become a recent phenomenon but it is one that is certainly important and should be incorporated into your estate planning documents. What many people forget about cryptocurrency is that in addition to passing on the assets themselves, you will need to share details surrounding the private key. Your private key is essentially like a password that is used to access the assets. If you put it in your will that you want someone to receive your cryptocurrency benefits but don’t give them the information they need to use the private key, they will likely never be able to get access to your cryptocurrency. Scheduling a time to talk with an experienced estate planning attorney is strongly recommended if you have crypto currency or other special issues in your estate plan. 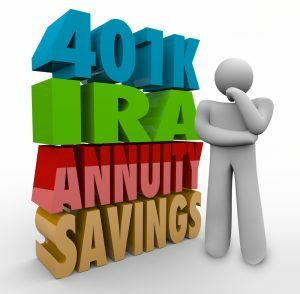 Who’s Keeping an Eye on Your 401(K) Plan? Have you ever wondered who is responsible for reviewing your 401(k) plan and ensuring that it is working for you? More than 54 million people across the United States rely on their 401(k) plan as their primary method to save for retirement, but many plan participants don’t know who’s responsible for managing it and how to use it the most effectively. Identifying who is responsible for your 401(k) plan can help give you greater clarity about working towards your retirement goals. A 401(k) plan, simply put, is a special purpose trust identified by your employer to help you save for retirement. This is overseen by one or more individuals known as plan trustees. These plan trustees are legally responsible fiduciaries that must make sure that the 401(k) plan operates for the benefit of the plan participants and the participants’ beneficiaries. Furthermore, the plan trustees have to verify that your plan complies with the requirements of the Employee Retirement Income Security Act, which requires that every plan participant is treated fairly. A formal written document should be included with your 401(k) plan about how the plan does operate and the summary plan description can also be a valuable piece of information to review. Bringing this information to your meetings with your financial planner or your estate planning attorney can help position you to better understand how this will protect your future. Can I Amend My Existing Trust? If you have a lot of changes to make to a trust document and you have a revocable living trust, you may be curious about the best way to amend it. Many people may be tempted to simply write their changes directly on the trust document and initial it. However, you need to sit down with your knowledgeable estate planning attorney and figure out whether or not this is true in your case. Since not every trust is amendable, you’ll first want to figure out whether you do have an amendable and revocable trust. 7You should not make changes directly to the trust document and initial them. You must use an amendment to a trust to reflect your changes. Amendments are relatively simple documents but they should be put together by your lawyer. These amendments acknowledge the ability to make changes, amend the trust and then provide that the remaining portion of the trust stays in full effect, despite the new amendment. If you’ve already amended the trust a few times, or if you have a significant amount of changes to incorporate on your trust, this can be very difficult for a trustee to follow. 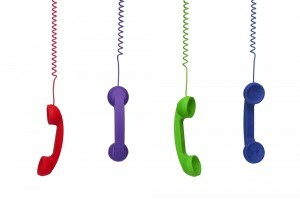 This can lead to confusion and conflict down the line, so make sure you talk through what is best in your case. There are ways to amend an existing trust that essentially creates a brand new trust and this could come as a complete restatement. 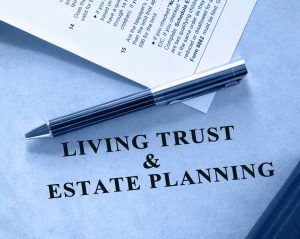 You’ll want to talk this over with your knowledgeable estate planning attorney to figure out what is truly best for you. So you’ve already got to the point where you recognize you could benefit from a conversation with an experienced financial advisor. Along with a CPA and an estate planning attorney, a financial advisor can become an important component of your team of trusted professionals. You’ll want to interview several different options for a financial advisor and look into their backgrounds and references from other clients before making a final decision. 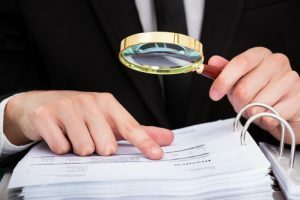 The initial interview can help you clarify whether or not this person has served as a fiduciary before, their individual certifications, and the types of services they offer. You can also ask more about their specialties and areas of focus. The advisor’s minimum investable asset requirement is something you should also ask about during the initial interview. Anyone will want to know exactly how they will be charged by a financial advisor, including how much you’ll pay for advisory services and fees associated with underlying holdings if this person manages your portfolio. Advisors charge by different models, including by the hour or as a percentage of assets under management. You can verify that the appropriate planner has the CFP certification if this is important to you, and it is strongly recommended that you consider working with someone who has done the extra work to achieve this certification. Hiring an experienced financial advisor is just one piece of the puzzle. Make sure you identify a knowledgeable estate planning lawyer so that the documents and strategies you put together can all be reviewed in full and work with one another. I’ve Got a Long-Term Care Policy. Should I Stop Paying or Keep It? If you’ve had a long-term care policy for several decades and have continued to pay the premiums, this is an important component of being able to protect yourself against decimating your savings. However, many people who have long-term care policies have reported that these premiums have increased significantly in recent years. Some people are concerned about whether or not they should let the policy lapse or continue paying for it. The decision about whether or not to continue paying the premiums on your long-term policy can only be made after evaluating your individual financial situation. 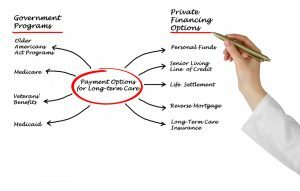 If you have significant assets but no long-term care policy, a sudden incapacitating event that sends you or your spouse to the nursing home, could completely eliminate all of your savings. With substantial assets you may not be able to get support for Medicaid, at least for a period of time after you’ve spent down your individual assets and wealth. A long-term care policy must be carefully considered as part of your vision. 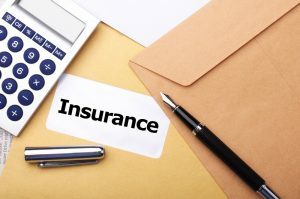 While many companies used to offer long term care insurance, many of those smaller businesses ultimately closed up shop after becoming insolvent. Today there are only a few major insurance companies that offer long term care. The older long-term care policies will typically have better benefits than the newer ones, so allowing your long-term care policy to lapse could be a big mistake if you are not careful. 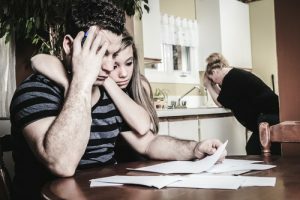 Everyone has heard some type of nightmare tale about what has happened to a person’s assets when they weren’t properly included in an estate plan. Often it is the remaining family members left behind after a loved one passes away, left to cope with the problems associated with lack of estate planning or improper estate planning. 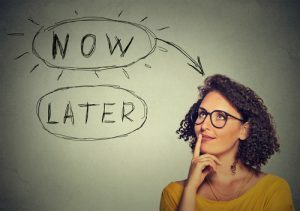 Procrastination can generate a great deal more frustration, problems, and grief for your loved ones, all because you simply refused to sit down with an estate planning attorney. 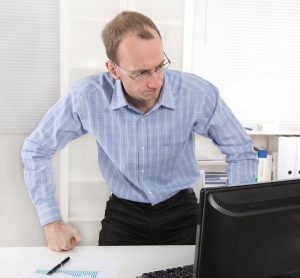 Procrastination can put your loved ones in a very difficult situation if something happens to you while you are still alive, such as becoming incapacitated and having no one appointed to make decisions on your behalf, as well as for the management of your assets if you were to suddenly pass away without an estate plan in place. This empowers the state to make critical decisions about what happens to your remaining property and this can cause numerous different problems in the handling of your future. It is far better to consult with an estate planning attorney well in advance and hope that you don’t need the support provided by an incapacitation plan. However, if you are concerned about incapacitation, having these documents properly created, signed and stored can greatly increase your chances of comfort, knowing that someone else is appointed to step in and make decisions on your behalf if you become unable to do so. An unplanned exit, whether it is due to incapacitation, death or something else, could generate significant consequences for a business. It is extremely important to have a succession plan in place for every type of business, but franchisees must have them as well. It is a win-win situation when a franchiser requires or suggests that a franchisee put a succession plan in place. The succession plan doesn’t have to require a great deal of complication, but it will simply outline what happens if the owner leaves by death or otherwise. A planned exit is extremely beneficial to the business because it can lead to minimal disruptions in the company if there is a sudden and unplanned exit. The succession plan may be coordinated along with an estate plan which considers transfers through sale or other means. This disposition can happen by using buy/sell agreements, family partnerships, life insurance policies, will and trusts, and more. These issues must be coordinated with regard to any restrictions that could exist under a franchise agreement related to the disposition or the sale. Furthermore, the state laws in your individual location can have an important impact on the outcome of the sale. If you currently own a business and are anticipating selling it in the future, you need to look back at your foundational documents including any buy/sell agreements to determine whether or not guidelines are already established. There are five crucial financial planning areas that you need to consider when planning to sell your business. First of all, you need to articulate your plans for the money, including whether you plan to make major purchases, your future retirement goals and to generate a new vision for your future. 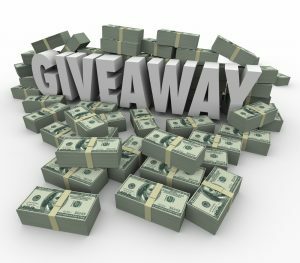 You may also wish to accelerate college funding and charitable giving with college savings plans, or a donor-advised fund. Required cash reserves and estimated taxes should also be in the back of your mind. If you sell early in the year and the tax is not due until April 15th of the year following, you’ll still want to have a long-term game plan for what to do with your taxes. Key man insurance or personal liability insurance should also be reviewed carefully when it comes time to pass on the business. Many of these policies are owned by the business entity and the business remains the primary beneficiary if the key man passes away. If you are the primary owner of the entity then you have the eligibility to change the beneficiary and the ownership on these policies, and this is a step that you should take as soon as possible to protect yourself. Part of estate planning is ensuring that the inheritance you pass on goes where you want it to after your death. But how can you ensure that your assets are protected long after you’re gone? Do you hope to pass on as many assets as possible? Do you know whether or not your beneficiaries could be exposed to risks that could cost them all of the assets you’ve worked so hard to build? In an increasingly litigious environment, proper asset protection planning using tools like trusts is a must. People focus on avoiding probate and putting together a will during estate planning, but it turns out you may need more comprehensive strategies than that. If you died prematurely, became incapacitated, are involved in a rocky marriage that suddenly ends in divorce, or are sued in the next month, all of these are potential attacks on that inheritance you’ve worked so hard to build. One opportunity to protect this is to use an appropriate trust. This means that there is a clear set of instructions inside the trust about when assets can be removed, such as for education and medical expenses. This can help to guard against the inheritance being squandered. Many people choose a trust because it gives an additional layer of control and peace of mind in the event that you were to become incapacitated or pass away suddenly. It is critical to have a plan in place to protect an inheritance from interference from outside threats, because unfortunately, many people minimize the likelihood of these outside threats.